Members’ genealogy queries should be sent to James Larry Vick. He may be able to tie you right in to research someone else has done on your Vick family. 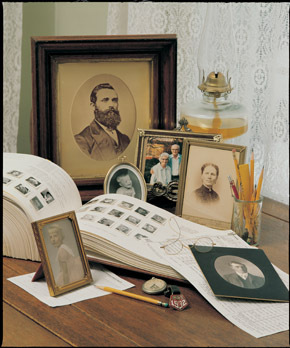 A mixture of Family History and Genetic Research are combined to determine your family history line. On 20 Dec 1673 Hodges Council made a gift of land as follows: "I Hodges Councill of the Lower Parish do give.... to Joseph Vick of ye said Parish, 50 acres on Beaver Dam Swamp, adjacent to Robert Lawrence... and furthermore it is agreed that if the said Joseph Vicks have any other child beside this his present daughter, going by and bearing the name of Lucy, she shall after the decease of her father enjoy the land for her and her heirs, but if the aforesaid Jos. Vicks shall have any more children by this, his present wife, sonne or daughter, neverthe less the above Lucy shall enjoy ye land, but if the said Lucy shall decease without heirs, then the said land shall fall to either brother or sister, but if the said Joseph Vicks and his daughter Lucy shall both decease without heirs, then the aforesaid shall fall unto ye said Hodges Councill and his heirs again."